Heaven received an angel on Dec. 3, 2018, Louise Marie Richardson who was a devoted wife, exceptional mother, grandmother, great grandmother, and loyal friend. She was a daughter of Santos D. and Sophie Kozlevchar Novello born Dec. 6, 1941 and today she would have been 77 years old. Early in life she worked for Dunn & Bradstreet as a secretary and was an award-winning typist. 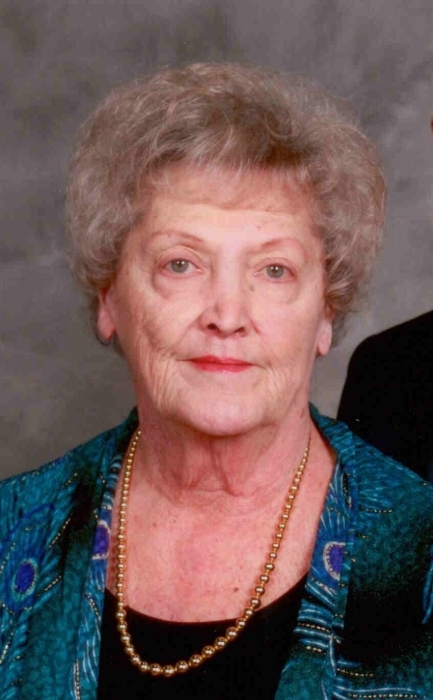 As a homemaker she was an excellent cook, loved to garden flowers and vegetables, was a devoted Christian of the Lutheran faith as a member of Martin Luther Lutheran Church, a voracious reader, world traveler, avid bowler, and very good singer. Louise leaves to cherish the memories of their 55 year marriage, her loving husband, William L. Richardson whom she married May 4, 1963; three daughters, Heather (Delmar) Campbell, Lynn Richardson, and Paula (Doyle) Detweiler; four grandsons, John (Sarah) Wagner, Michael Lim, Ryan Lim, and Michael Detweiler; five granddaughters, Rebecca Wagner, Margeaux Lim, Candace Lim, Lilly Detweiler, and Hannah Detweiler; a great granddaughter, Gianna Paternite; and a sister, Sandra Ashton. She was preceded in death by her parents; a son, Robert M. Richardson; and a sister, Patricia Dobash. A memorial service will be held on Sat. Dec. 8, 2018 at 11am in the church (420 Clearmount Dr.) with the Rev. David Kamphuis officiating. Family and friends may call from 9-11am. In lieu of flowers, contributions can be made to the church in Louise’s memory.